In 2015, new friends, and new to LoonCorps, Allison and Alan White volunteered to become Loon Rangers for Crooked Lake, specifically for the Oden Island loon nesting raft. This raft is the third for Crooked Lake, located a good distance from the Rocky Point nest. With nearby Round Lake a reliable and long-time loon nesting lake, LoonCorps has been focusing nesting efforts here and on Pickerel Lake in recent years. Though loons certainly nested sometime in Crooked Lake’s history, no one can remember seeing nesting loons or chicks in their lifetime. 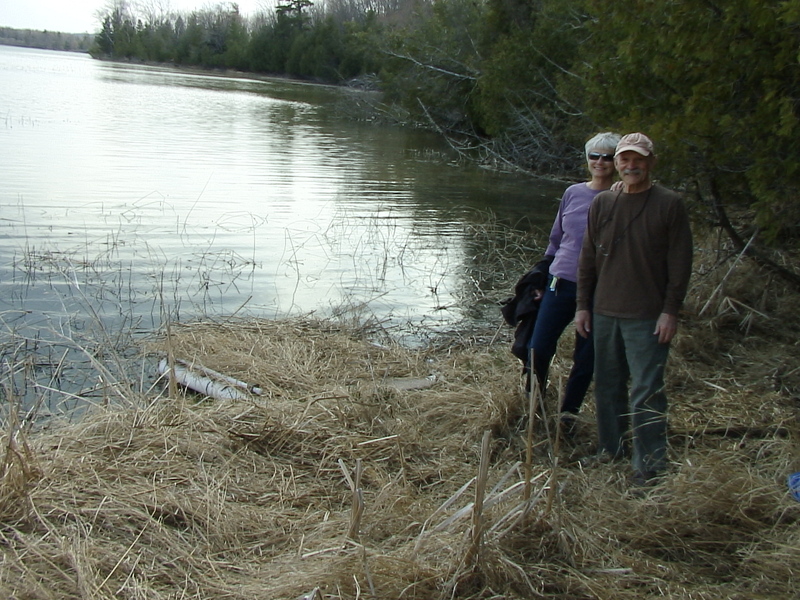 Posted by Jeff Lange on May 13, 2015 in Cool New Things, Lake Profile, Volunteer and tagged Alan White, Allison White, Crooked Lake, Emmet County, Loon Rangers, Looncorps, Oden Island.